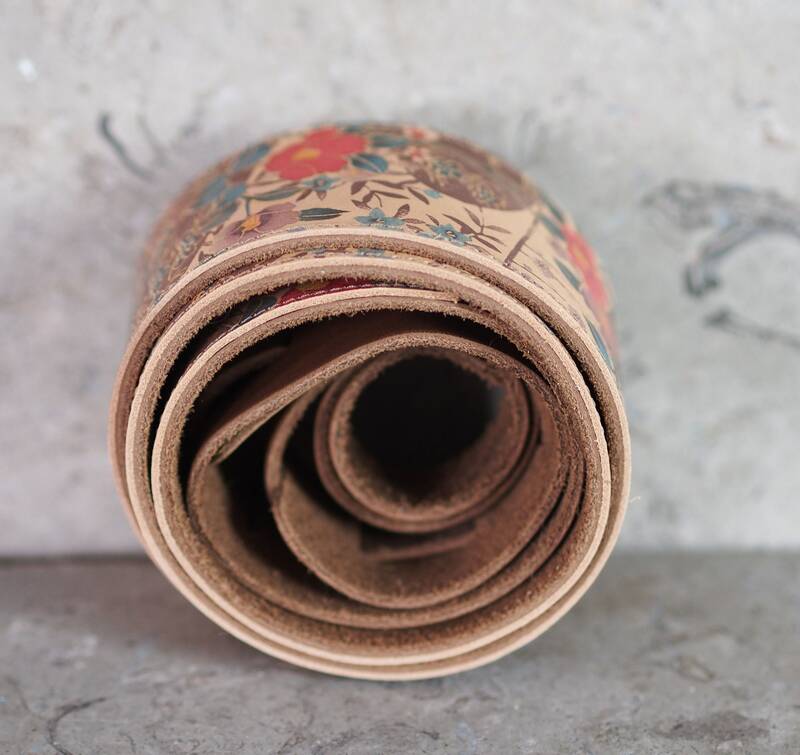 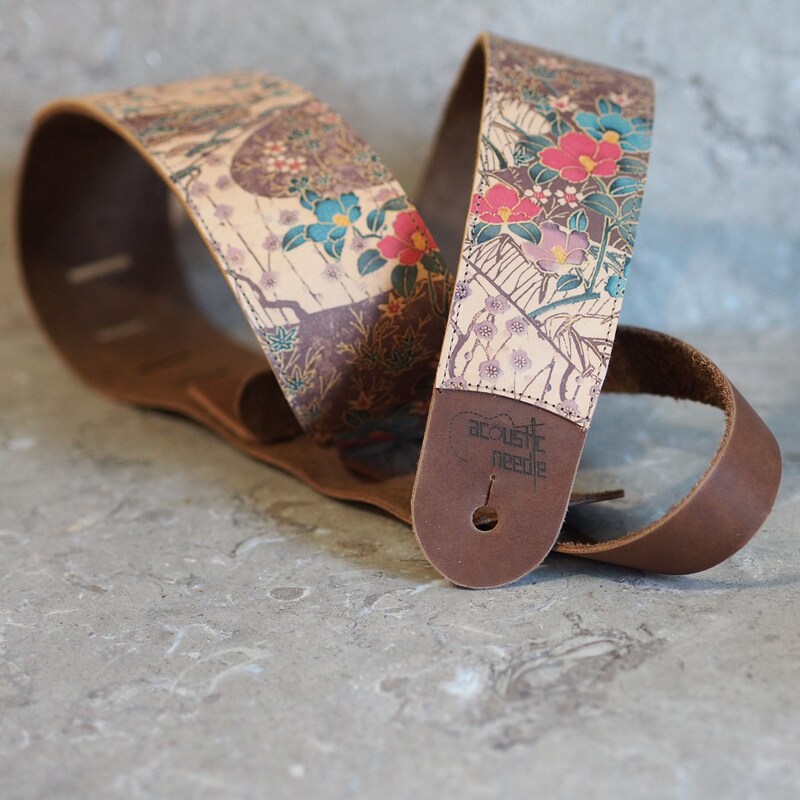 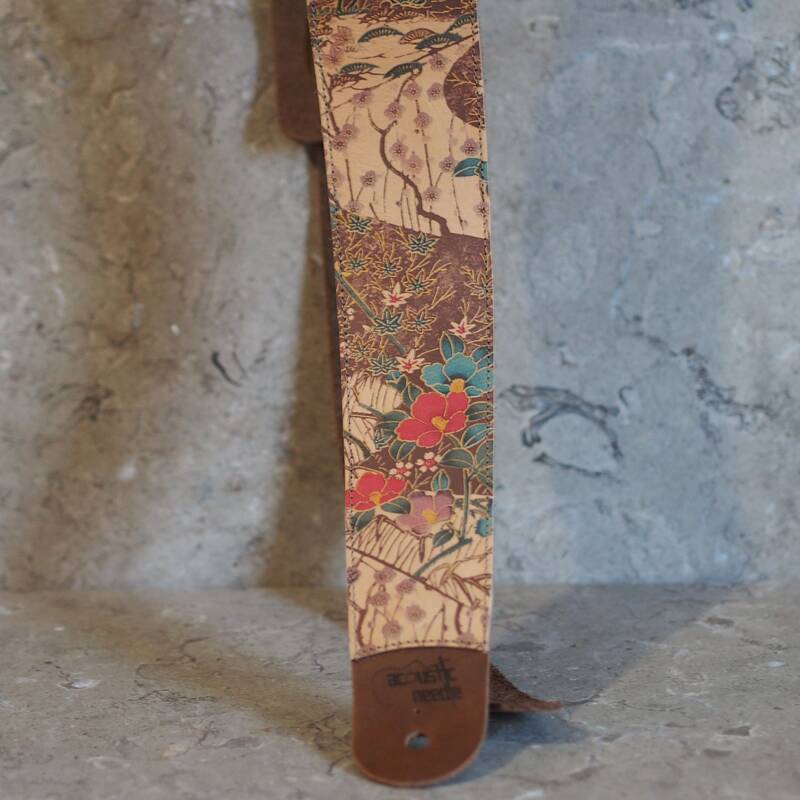 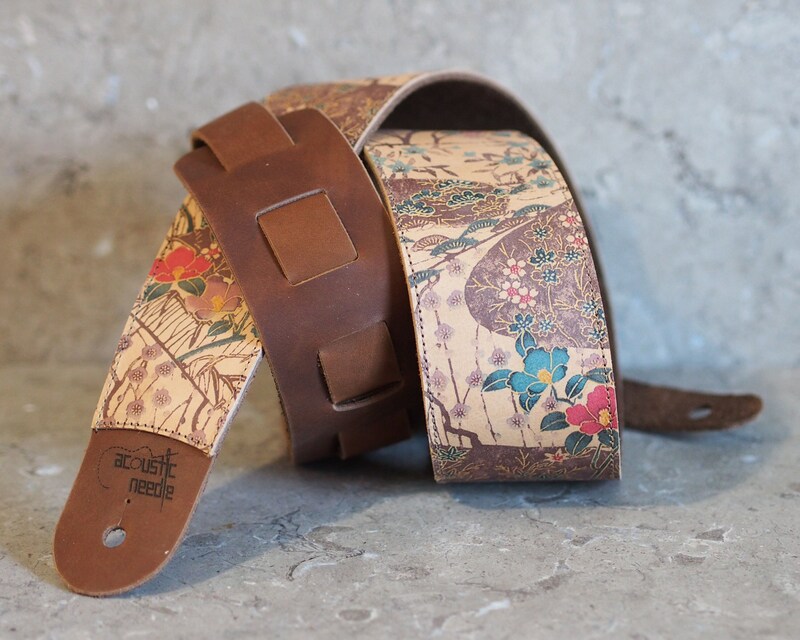 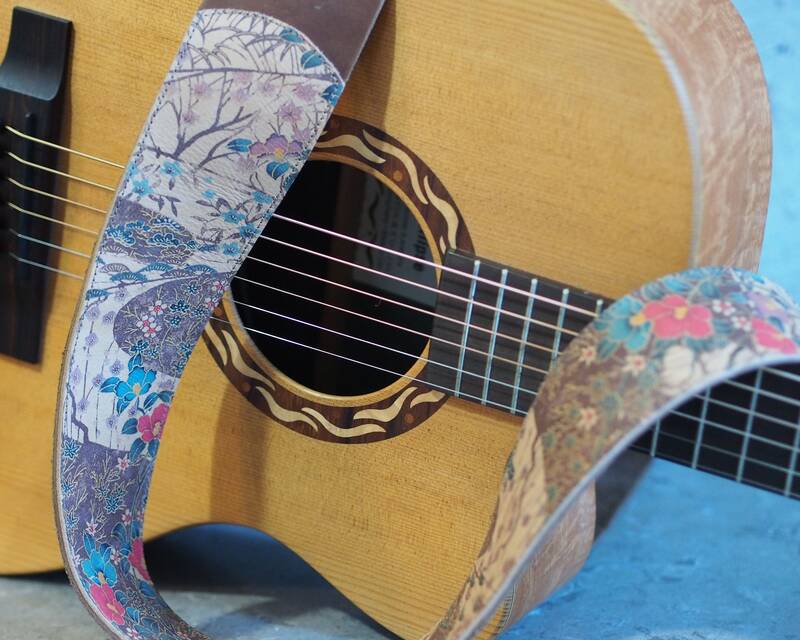 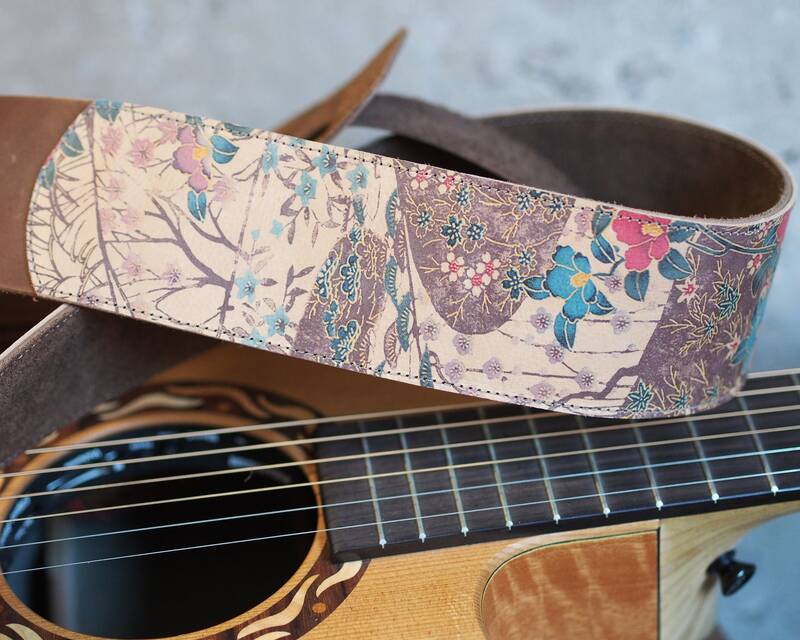 This all leather guitar strap is made with an asian style print on thin honey brown cowhide and is applied to a chocolately brown cowhide strap, fully glued & edge stitched, leaving the adjustment slot and front peg area to show off the main strap cowhide. 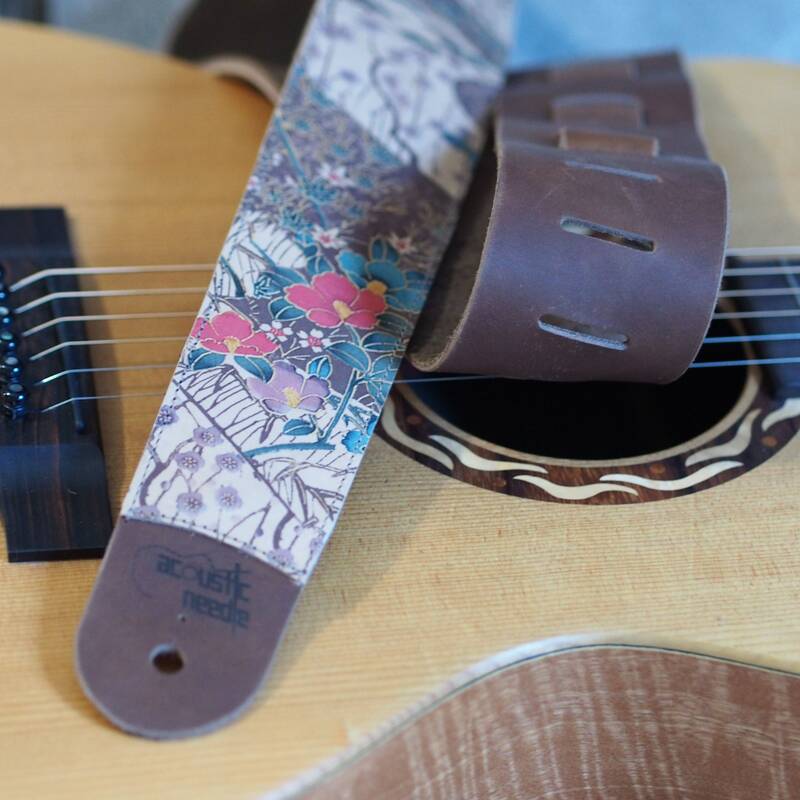 The print is shades of blues, reds, lavenders & greens for the blossoms with brown branches & background woven over a honey colored leather base, which stands out against the darker brown main strap. 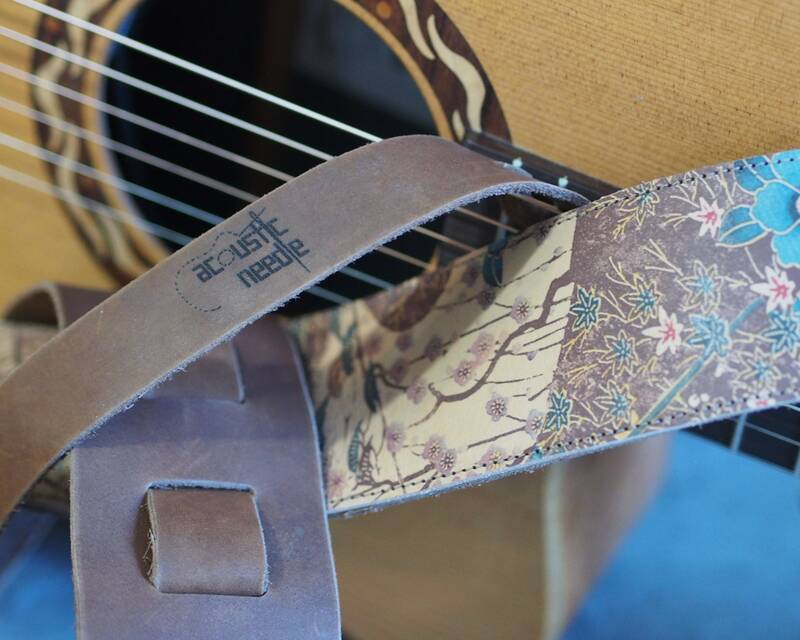 I have not applied any edge dye, so you can see the difference in shading of the two thru-dyed leathers from the side. 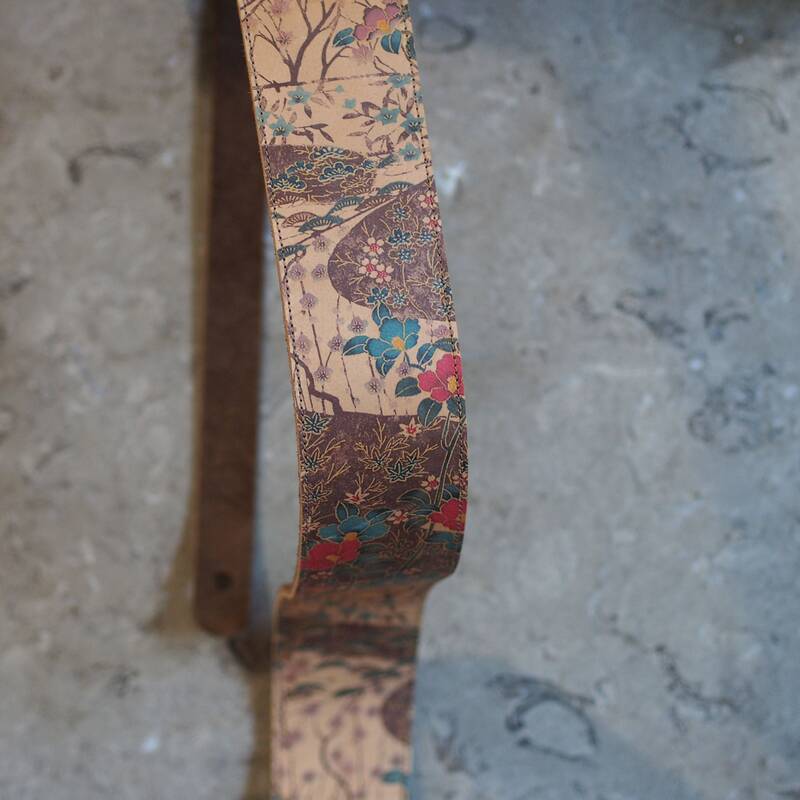 Note: the daylight varied w/ some clouds, so some appear darker than other images--no photo processing changes. 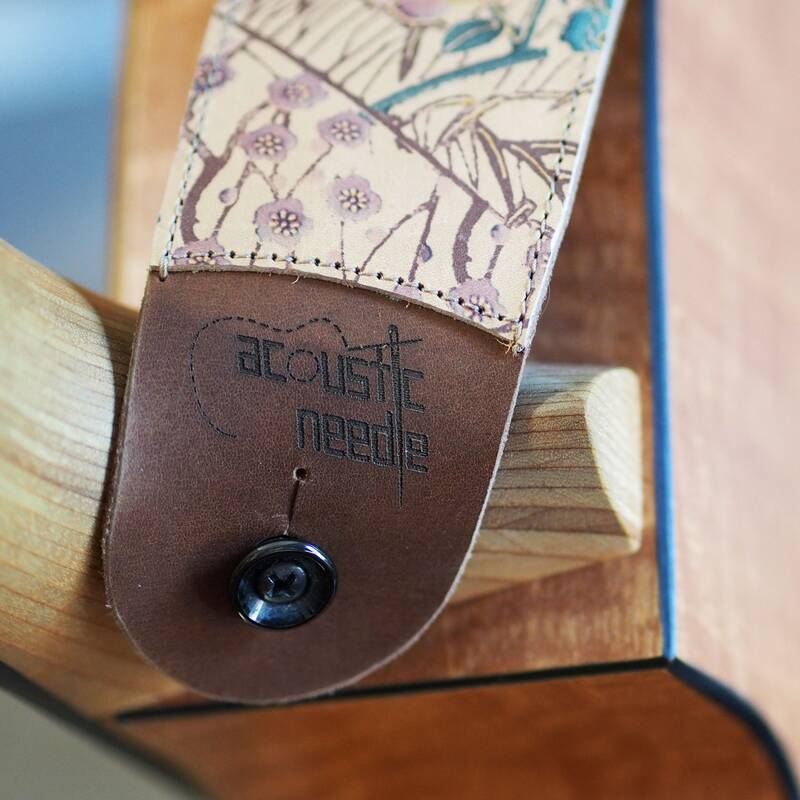 Please note that I've laser etched my logo onto the front peg end of the main strap and on the adjustment strap with my "acoustic needle" logo, which I'm branching off specific for musical straps & accessories.